Ashland County is the perfect place to hold your next meeting or convention. For the main event, meanwhile, we boast a wide variety of facilities perfect for gatherings of all scales, whether you’re looking for an idyllic setting for a work retreat or space for a full-on national conference. From event centers and auditoriums to rural resorts, you’re sure to find the ideal setup. And Ashland University offers its 20,000-square-foot Convocation Center: the biggest such venue between Columbus and Cleveland. We’ve got you covered in the meal arena, too. From light refreshments to multicourse dinners, Ashland County’s restaurants and caterers deliver on all fronts. And between commercial hotels, charming B&Bs, and out-of-town retreats, you’ve got comfortable accommodations for any size affair. Click to Find a Restaurant with Meeting Facilities in the Ashland Area Today! A warm breakfast pairs perfectly with any morning seminar. Having a lunch meeting? Wrap it up with a lunch menu of your choice. The Ashland area has a wide variety of catering options to give your guests a tasteful experience when attending your meeting. In short, Ashland County gives you your pick of settings for meetings, conferences, and fundraisers. Explore the listings below and browse our free visitor's guide as you plan your shindig here. 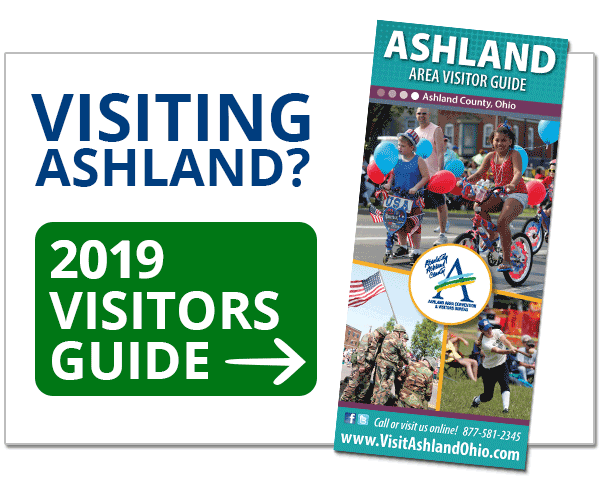 With our convenient geography, extensive resources, and welcoming Midwest atmosphere, you’ve got all the ingredients for a fun, fruitful meeting here in Ashland County. Give us a try: We reckon you’ll be back for the next one, too!